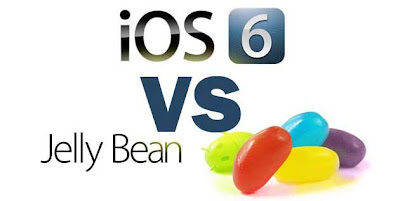 Since the release of Apple's iOS 6 on iPhone 5, There was a curiosity among the people regarding updates in Siri and other Features. iOS 6 really made great updates when compared to its previous iOS 5.0 or iOS 5.0.1. Though there were many Updates in iOS 6, iPhone 5 had to face issues and complaints regarding iOS 6 Maps. 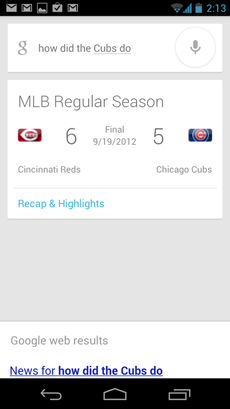 Users were quite disappointed regarding this as iOS 6 maps lacks many features which Google had. 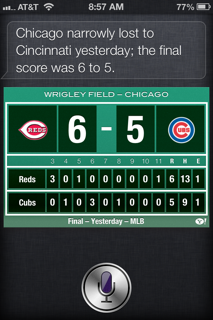 Sports : Siri was able to respond quickly when asked about Sports and same like the Google Voice Recognition. 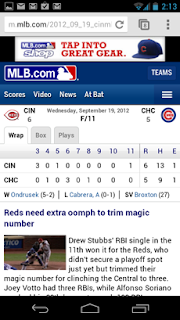 Here are the screen shots of search results in both Siri and Jelly Bean. 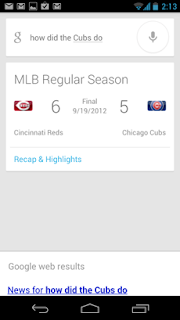 But when it comes to more brief, Jelly Bean had options to view more where as Siri did not have them. 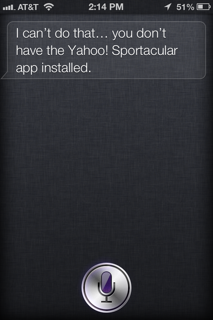 Siri asked for additional installs. 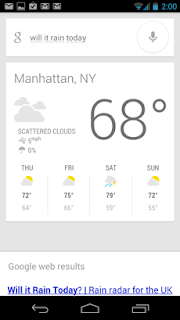 Weather : When Siri & Jelly Bean's VR was asked for Rain report in New York City, Both replied almost the same way but the difference was seen in the display and interfacing. 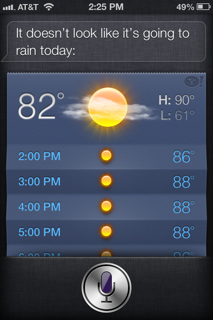 Siri showed attractive where Jelly Bean could display a normal model. Here are the screen shots of both displaying Weather report. Siri then displayed Temperature details about few cities near by where as Jelly Bean gave the weather report for New York city for four more days. Maps : When Siri and JB were asked to Find Places (Empire State Building), Both responded in a great way and even here the difference comes at display. 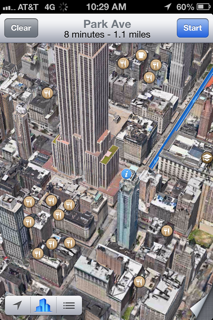 Siri showed a map displaying amazing 3D buildings and route and asked whether to show directions. Jelly Bean also displayed maps which is Google Maps showing the requested place. 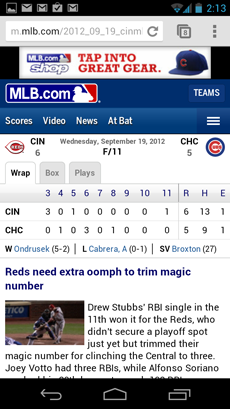 Here are the screen shots of both iOS and Android displaying Maps. But Siri only offered Driving Directions and no other options were provided. 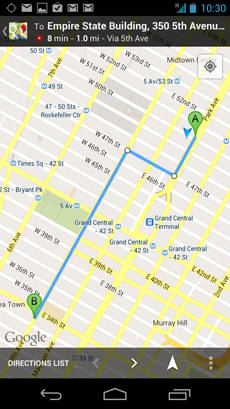 Google maps also showed some effect of 3D in maps but was not as good as Apple's.